A beautiful lavender-hued kitty needs your love. This unique cat is undeniably sweet, cuddly, and a beautiful shade of purple. She loves playing with her mouse toy and sitting on her owner's lap. We needed a purple kitty so of course, we adopted her and we have zero regrets. If you want a purple kitty as a pet, dress your little one in this adorable purple cat toddler costume. 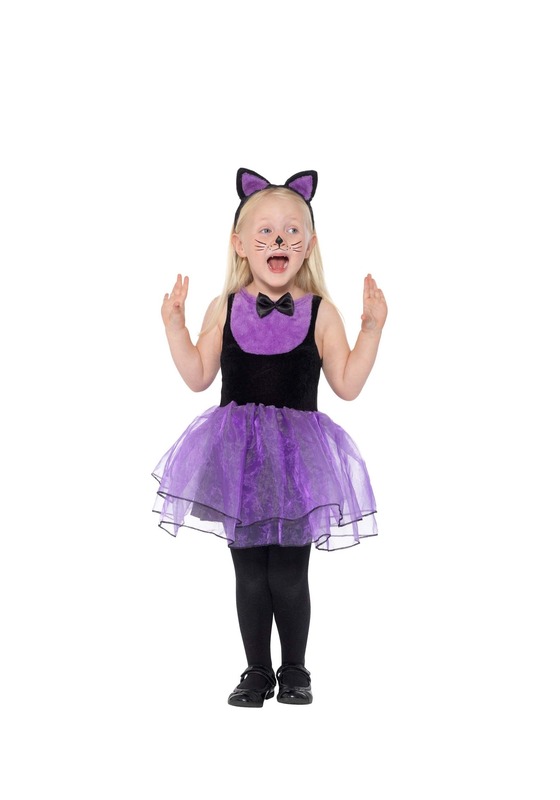 We have a feeling your toddler will think it's the purr-fect cat costume! This costume consists of a tank top style dress which displays a fluffy violet-colored inset and an adorable black bow tie to accent it. The dress is made from plush, soft material so it's extremely comfortable and stretchy. The purple tulle skirt bottom features layers of the sheer fabric to create a ballerina-inspired look. 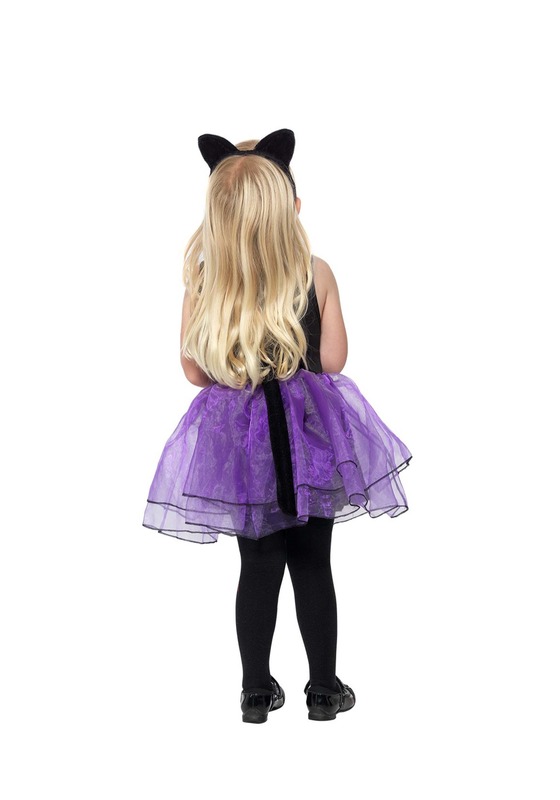 A black cat's tail is attached to the back and the included cat ear headband completes the purple kitty costume. To achieve the full look that's pictured here, add black stockings and black shoes to the costume. Take a black makeup pencil and draw a nose and whiskers on your little one for a look that's paw-sitively adorable.